The Cherry Hill Township Municipal Building will close at 3 p.m. today, and will be closed Thursday and Friday in observance of the Thanksgiving holiday. Trash and recycling will NOT be collected on Thursday's holiday; instead, all Thursday and Friday routes will be collected on Friday. Thanksgiving is a time to celebrate the many ways in which we are blessed, surrounded by our friends, family and other loved ones. 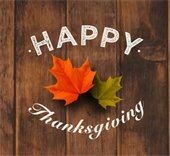 On behalf of my administration and the members of Township Council, we wish all of you a joyous and peaceful Thanksgiving. Have a wonderful weekend! Students carry donations to distribute as part of the Township's 2016 Food Drive with the Cherry Hill Public Schools. Thank you to Beck Middle School, Sharp Elementary, Russell Knight Elementary, Barclay Early Childhood Center, American Collectors Insurance and the Cherry Hill Public Library for their incredible contributions to the Township's annual food drive, organized by the Cherry Hill Recreation Department. This year, our participating organizations collected more than 300 boxes and bags of donations, which will have a tremendous impact right here in our own community. Donations were delivered Tuesday to the The Cherry Hill Food Pantry and the Samost Jewish Family and Children's Service (JFCS) of Southern New Jersey. Despite so many negative stories we hear in our world, there are so many wonderful and positive things occurring right here in Cherry Hill. As Mayor, and on behalf of this year's beneficiaries, we thank everyone who contributed to this year's food drive, for doing your part to make a difference in the lives of local families in need. Mayor Cahn addresses attendees of this year's Interfaith Thanksgiving Service at Temple Beth Sholom. Last night, several members of Council and I were honored to join residents and religious leaders from across Cherry Hill for a very special Interfaith Service for the Thanksgiving holiday. Organized by the Cherry Hill Religious Leaders Coalition and hosted by Temple Beth Sholom, the event gave many members of our community an opportunity to experience an evening of healing, unity and hope in what has been an often-trying year for so many people in our world. Here in Cherry Hill, we truly have so much to be thankful for as we enter this holiday season. I would like to thank Cherry Hill East's Singers, the Temple Beth Sholom Choir and the members of Al's Choral for gracing us with their gift of song. I'd also like to thank Rabbis Peltz and Lindemann, Cantor Cohen and the entire TBS community for serving as our hosts for this year. And I would like to once again thank Deacon Leo McBlain and the entire Religious Leaders Coalition for their leadership in organizing another wonderful event for 2016. For those of you unfamiliar with the organization, Religious Leaders Coalition is a group of clergy and lay leaders who meet monthly to discuss mutual concerns for our community, with the goal of promoting understanding and goodwill among Cherry Hill's diverse residents and faith communities. For photos of last evening's event, click here. Registration is now open for all programs and classes offered by the Township Recreation Department this winter. Whether you're a parent looking for activities for your children, a young adult looking to pick up a new hobby or skill, or a recent retiree looking to socialize and stay active, there's a program or class for you! Classes are listed in the Fall 2016 Community Magazine, which will be arriving in homes in early December; or you can browse classes now through Community Pass, the Township's new online registration tool where you can create an account for you and your family, register for classes, and purchase tickets for upcoming events. Visit https://register.capturepoint.com/CherryHill to browse upcoming programs. Be sure to follow Cherry Hill Recreation on Facebook for event details and highlights. For more information, contact the Recreation Department at (856) 488-7868, or e-mail Recreation@chtownship.com. Curbside leaf collection will continue next week neighborhoods across Cherry Hill, with the Department of Public Works set to begin its second round of collections. Click here for guidelines and scheduled collection dates. Dates will be posted in your neighborhood approximately a week ahead of your scheduled collection. New for this year: In an effort to make information accessible in different formats for our residents, we have added leaf collection routes to our online maps, available through the Cherry Hill Information Portal (CHIP). Click here to go directly to the interactive map, or visit www.CherryHill-NJ.com/chip and select "GIS Mapping," then "Public Information Maps," and select the "Leaf Collection - Round 2" layer from the list on the right-hand side of the page. To help expedite the leaf-collection process and make it more convenient for residents, the Township is once again offering free 30-gallon leaf bags to all our residents. Leaf bags can be picked up in the Municipal Clerk’s Office (Room 107) at Town Hall, or at the Department of Public Works, 1 Perina Blvd. Bagged leaves can be placed at the curb on your scheduled trash collection day, giving you more flexibility as to when leaves can be cleaned up. For more information, call the Department of Public Works at (856) 424-4422. All too often the holiday season brings senseless tragedy to families when a loved one is involved in a crash involving an impaired driver. 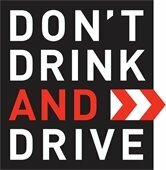 National Highway Traffic Safety Administration statistics show that more people are killed by impaired drivers over the Thanksgiving holiday than over the New Year period, making it the most dangerous holiday to be on the road. Last year in New Jersey, 111 of the 562 traffic crash fatalities were found to be alcohol-related. Even one fatality is too many. To help keep our community safe, the Cherry Hill Police Department will be increasing its DWI-detection patrols through Saturday. If you drink, don’t drive. If you drive, don’t drink. The results are costly, whether it means losing your driver's license, or being involved in a crash that could have easily been prevented. For more information on DWI prevention and awareness, visit www.nhtsa.gov. The Cherry Hill Police Traffic Safety Unit may also be reached for information regarding this and other traffic safety campaigns at (856) 488-7820. The New Jersey Department of Transportation (NJDOT) has scheduled overnight lane closures on Route 70, from milemarker 2.55 to 5.33 in the Township. Temporary closures will be in place from 9 p.m. 6 a.m. Monday through Friday to allow for concrete slab removal, electrical work, milling, paving and striping on the roadway. Anyone traveling on the road should use caution. Motorists are encouraged to check NJDOT's traffic information website www.511nj.org for real-time travel information and for NJDOT news follow us on Twitter @NJDOT_info. Public Service Electric and Gas (PSE&G) is replacing gas lines in the intersection of Brace Road and Kresson Road in Cherry Hill for the next several weeks. The work will take place Monday through Friday, from 7 p.m. to 5 a.m., in order to minimize traffic disruption. The project, which includes final restoration and paving of Brace Road, is expected to take four to six weeks. Although the roads will remain open, there will be detours. Cherry Hill police will be onsite to direct traffic. With the start of the holiday season upon us, the Cherry Hill Police remind shoppers to take the follow precautions to ensure a safe season for everyone. Be aware of your surroundings. Pay attention to who or what is around you. Have your keys our and ready when approaching your vehicle. Never leave any packages in your vehicle in plain sight. Always put them in your trunk before you get to your next destination. Never leave any personal items in your vehicle in plain sight, such as loose change, credit cards, cell phones, purses and electronics. Always park in areas that are well lit. Do not park in remote areas. Never leave doors unlocked or windows open or cracked. Safety in numbers: Bring a buddy shopping with you. Be aware of how you carry your purse or wallet. Try to carry only the amount of cash you will need to make your purchases and limit the number of credit cards to only the ones necessary for your current shopping trip or for that day. Always leave yourself extra time. 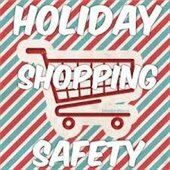 By giving yourself extra time, you'll be able to remind yourself of these basic shopping safety tips. In this and any other situation, if you see anything suspicious, call the CHPD non-emergency number at (856) 665-1200, or call 9-1-1 in case of emergency. Kick off the holiday season with Mayor Cahn and Council on Dec. 6. Cherry Hill Township will welcome the holiday season as a community at the annual Holiday Lighting Ceremony, at 6:30 p.m. Monday, Dec. 6, in the Carman Tilelli Community Center. Council and I will be joined by area youth choirs as we light the Township’s official Hanukkah Menorah and Christmas tree. This free event is open to all residents, and includes light refreshments. For details, click here, or contact the Department of Recreation at (856) 488-7868 or events@chtownship.com. 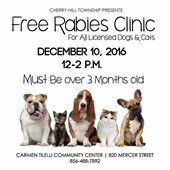 Cherry Hill Township will host its annual rabies vaccine clinic from noon to 2 p.m. Saturday, Dec. 10, at the Carman Tilelli Community Center. Please note: This clinic has been held in January in previous years and is being moved to December to allow residents to apply for a new license and receive their vaccination before the end of the year. This free clinic is open to all cats and dogs over three months of age. All pets must be licensed to receive the vaccine; you may apply on site for a new license with a check or money order made payable to Cherry Hill Township - or download a pet license application at www.CherryHill-NJ.com. New Jersey requires all dogs to be licensed and inoculated against rabies. Dog license fees are $25.20 for non-neutered and $22.20 for neutered dogs. A $25 late fee will be assessed for licenses paid after January 30, 2017. For more information, please call the Municipal Clerk’s Office at (856) 488-7892. The Cherry Hill Atlantic Little League Boys 12U baseball team is raising money to attend a week-long tournament this summer in Cooperstown, N.Y. In support of this effort, the league will host a fundraising event from 4 to 7 p.m. this Saturday, Nov. 26, at Tir Na Nog restaurant, 482 E. Evesham Rd. We are proud to help support and encourage all our youth sports leagues, young athletes and volunteer coaches in Cherry Hill. For more information about the event, email Amy Auerbach at amybethauerbach@yahoo.com. The Winter Community Magazine will be sent to Cherry Hill homes in early December, but registration is open now for programs and events scheduled through the winter of 2016. This year, Township residents can register for programs online quickly and easily from the comfort of your own home, or even the computers at the Cherry Hill Library, through CommunityPass, the Township's new online registration tool. The first step in this process is to create a profile at https://register.capturepoint.com/cherryhill. All information included in your profile is kept confidential. If you need assistance creating your profile, call (856) 488-7868, or stop by the Department of Recreation Office, Room 102 of the Municipal Building, during normal business hours. If you have questions about CapturePoint or any other Township program or service for seniors, please contact Gaye Pino, Senior Services Program Coordinator, at gpino@chtownship.com or (856) 661-4800.